The security of your business is vital to your success. Without proper security, you could be at risk of something happening that causes a huge loss or even bankruptcy. Setting up an effective security budget requires a few specific considerations. Here are some of the top considerations you should have if you're trying to set up your business security budget. Every business has specific things that are essential to doing business. These could be systems you own, business equipment you use, intellectual property, data or anything else you need to stay in business. Before you set up your security budget, make sure you identify what's most important to protect. Something that is absolutely critical for your business to function needs to be considered above something non-critical. While protecting your business from hackers and from break-ins is very important, you also have to consider other risks when setting up your security budget. Sometimes, it makes sense to invest hundreds of dollars every year to protect against a risk that could cost you tens of thousands of dollars, such as a hacker holding your valuable business systems hostage. It doesn't do much good to set up a security budget that leaves holes in your security. If you were to invest in an actual business security system for the building and the things inside, but you decided to only secure three of your four doors, criminals will figure this out. You're left vulnerable, which isn't good. Along with protecting your physical assets, you also need to consider your data, intellectual property and employees. The entire business needs to be protected and you need to consider this when setting up your security budget. It's important to start with the absolute basics, such as the locks on your doors and windows, anti-virus software on your computers and access control for any sensitive areas, such as server rooms. Having your doors fully secured with high-quality locks will go a very long way to deterring actual break-ins. Make sure you have top-quality locks, such as Mul-T-Locks, installed by a commercial locksmith. 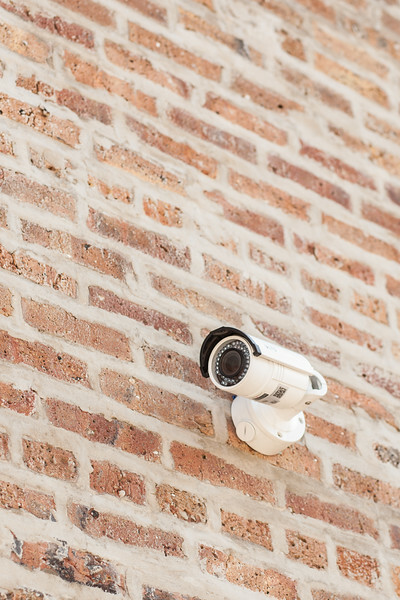 Once you've covered the absolute basics, it's time to start budgeting for things, such as security cameras and high-quality monitoring services for your systems. Make sure you start with the basics in your budget as most will come with a one-time cost or a smaller investment. Then, move on to the more sophisticated security measures. Setting up a business security budget isn't easy, but it's necessary. If you're not sure where to start, you can hire an expert to analyze your business and let you know what the major risks are to your business. This will help you to assess what the costs may be to secure your most vulnerable areas. Protecting your business is very important. It's your livelihood and the livelihood of all your employees. In addition, you've probably put your heart and soul into building your business. Making sure you have the right security for your business matters. With a commercial locksmith, you can better protect your business and set yourself up for success. Here are some of the ways a commercial locksmith will help give you the peace of mind in knowing your business is secured. It starts with the entry points to your building. If you have the ability to change or replace the locks and other hardware, a commercial locksmith can help with this task. The right locks will help to keep your business secure and other hardware will also ensure breaking in is much more difficult. In addition, a commercial locksmith can set you up with punch-code locks to ensure you always know who is in the building. There are several advanced locks to consider and your locksmith can help you choose the right locks for your needs. If you have locks you need to have repaired or rekeyed, a commercial locksmith will help. With the right locksmith on the job, you won't have anything to worry about. A good commercial locksmith will repair, rekey and install any locks you need including exterior doors, interior doors, windows and more. A true commercial locksmith will offer commercial-grade products including hardware, locks and other necessary products. You will have the best security possible because the locks and hardware are designed for commercial doors. Along with handling your locks, a commercial locksmith may also be able to install security cameras to boost your business security. Cameras not only help to deter crime, but they also keep employees honest and give you a picture of what's really going on. Even just cameras as entry points can make a big difference. 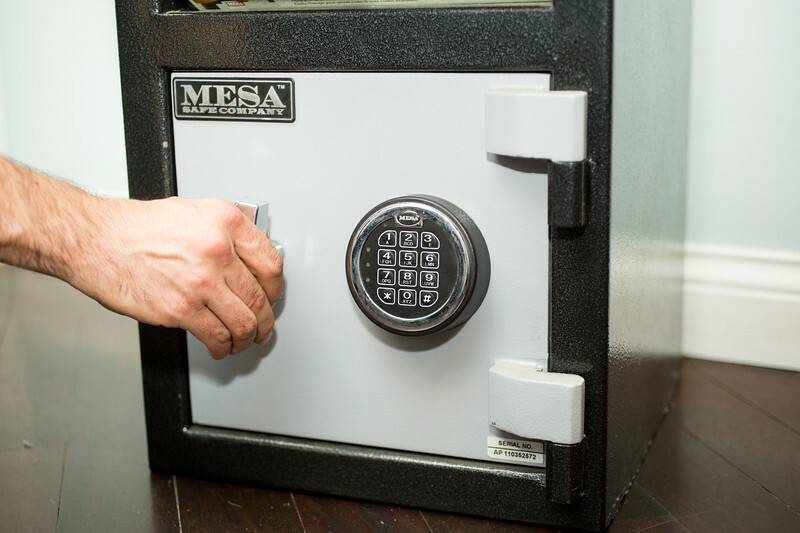 Your business likely needs a safe. Your commercial locksmith will help to ensure you choose the right safe, along with installing it for you. Whether you need a safe for sensitive documents, cash deposits or any other reason, your locksmith will help to ensure you have the right safe for your business. Maybe you need a system designed to allow access to certain areas and restrict it in others. When you need multiple access levels, a master key system can be used to ensure your business remains secure. Your commercial locksmith will be able to install this type of system to ensure you have the right level of security in the right areas of your business. When you choose to hire a commercial locksmith, you'll gain many business security benefits. Commercial locksmiths bring a certain level of expertise and professionalism to the job. You'll gain access to better products, professional installation and a higher level of security. Don't make the mistake of trying to handle your own business security. Let a trained commercial locksmith in Chicago handle all your business security needs instead.